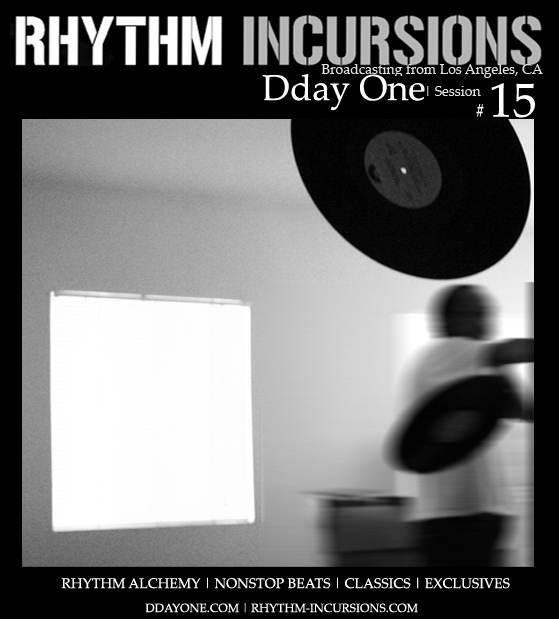 Dday One’s back with the fifteenth In Session show, as always live from his Los Angeles home. Fresh from finally linking up with Om Unit (who’s currently on tour across the US and Canada) after we’ve all been working together for nearly ten years, he delivers a new hour long show full of new and old music from legends and friends including Daedelus, Robot Koch, Om Unit himself, Dday’s Content label and its artists including Glen Porter and Gone Beyond, Lorn but also Miles Davis, Blackalicious, Krush and Shadow. It’s a sun-drenched audio delivery, perfect to get the week started. As always you can stream the show below, or to download left click and you’ll be directed to Dday’s Bandcamp page where the file is available. iTunes/RSS subscribers will receive the file directly. This entry was posted on Monday, August 20th, 2012 at 1:41 pm. It is filed under Podcasts, DDay One - In Session series and tagged with Dday One, Glen Porter, Diplo, Lorn, Daedelus, Gone Beyond, DJ Krush, Two Fingers, Om Unit, Yppah, Marques Lafelt, DJ Shadow, Robot Koch, 2econd Class Citizen, Blackalicious, Miles Davis, Peabody, Rammellzee, Mr. Moods, We, The Mighty Bop, Ice Cream Tee, Ceephax Acid Crew. You can follow any responses to this entry through the RSS 2.0 feed.